Even though the calendar says it's still spring, Evelyn and Brandon have already enjoyed a few weeks of summer activities. Sunny and 94˚ during the beginning of June helps. 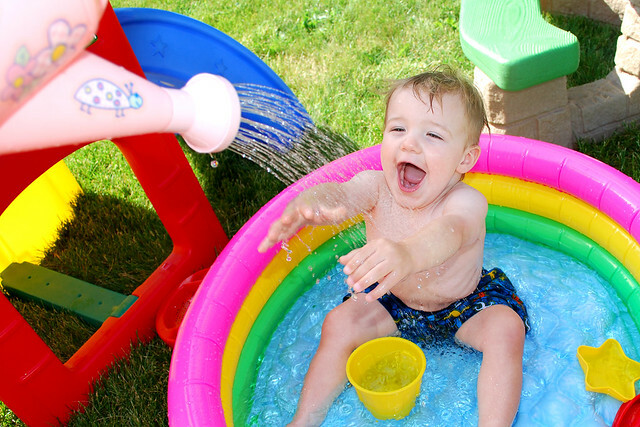 They've already been outside in their size-appropriate inflatable swimming pools. 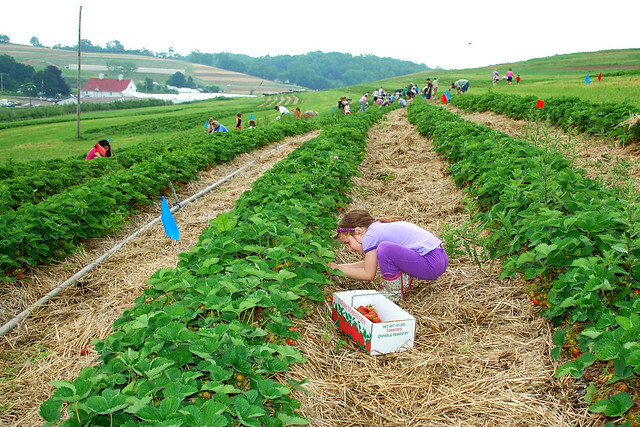 They've picked strawberries right from the farmer's fields. 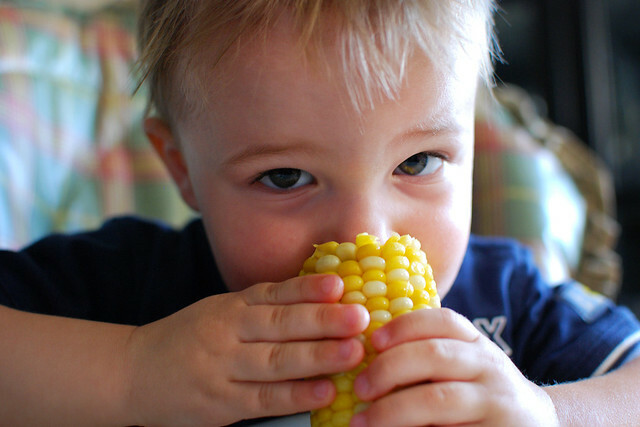 And nothing says summer like the taste of corn on the cob. When the season really changes next week they'll be ready to go. More pictures of summer practice are on Flickr.